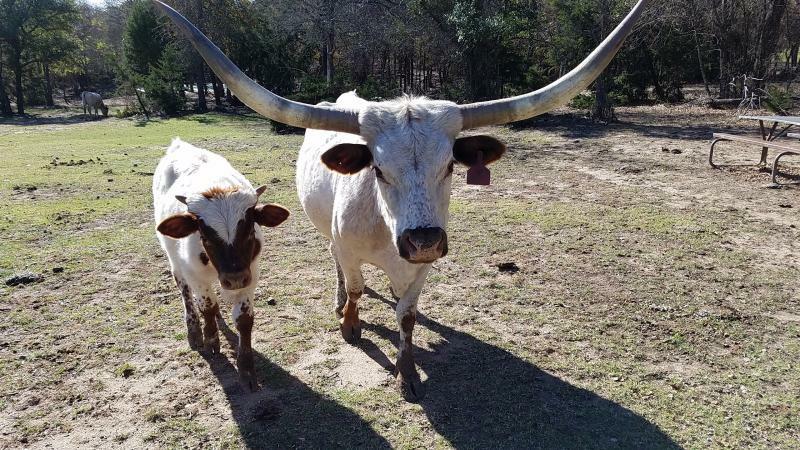 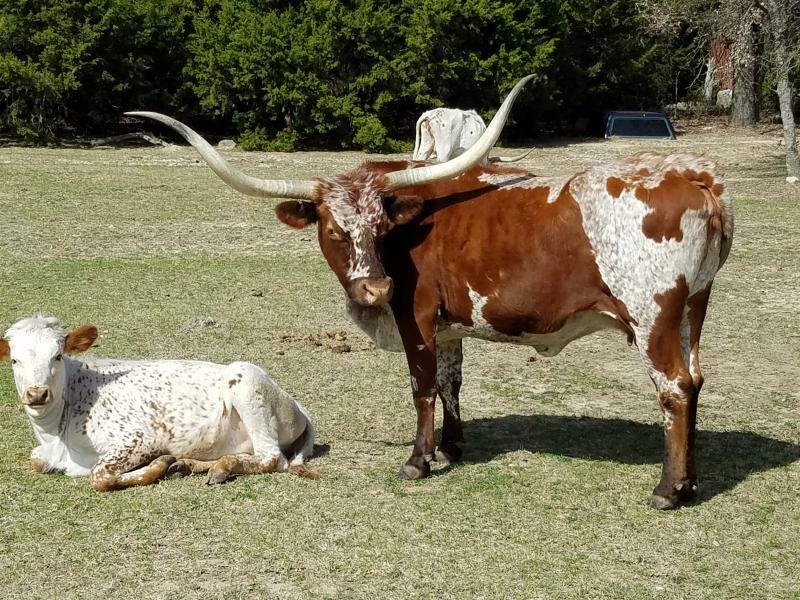 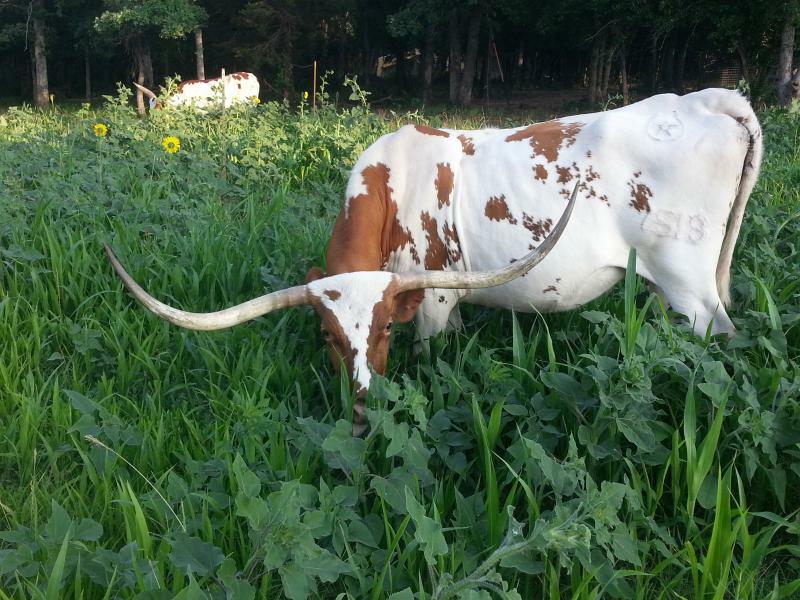 Texas Longhorns were the first animals we added to the ranch in 2010. 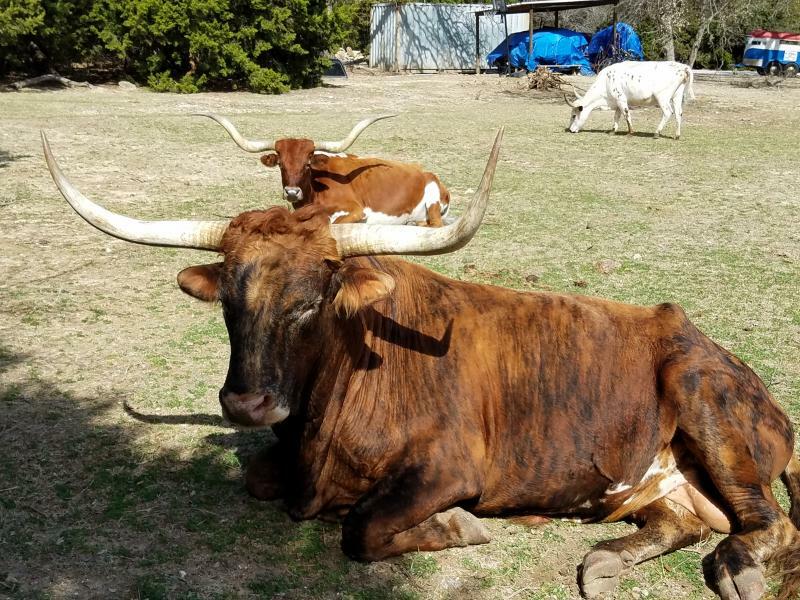 The first purchase was our herd sire, Awesome Cochise (Coach), and a starter herd of six females: four cows (Purple Sage, Wildflower, Lady Grandslam, Sage Brush (Touchdown)), and two heifers. 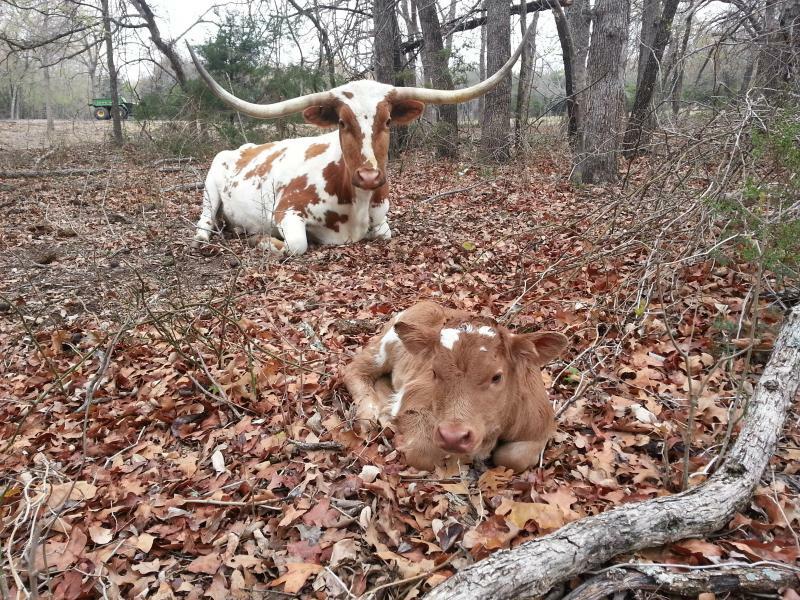 The heifers were sold the second year when we started shifting towards Dorper sheep production, but we still have the original four cows. 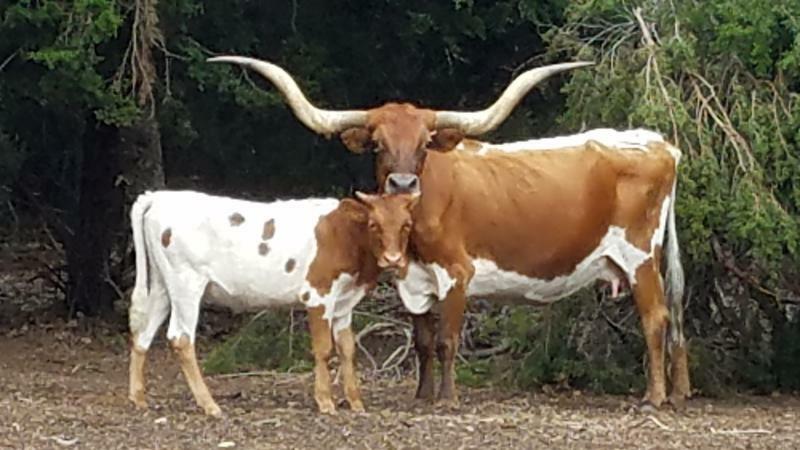 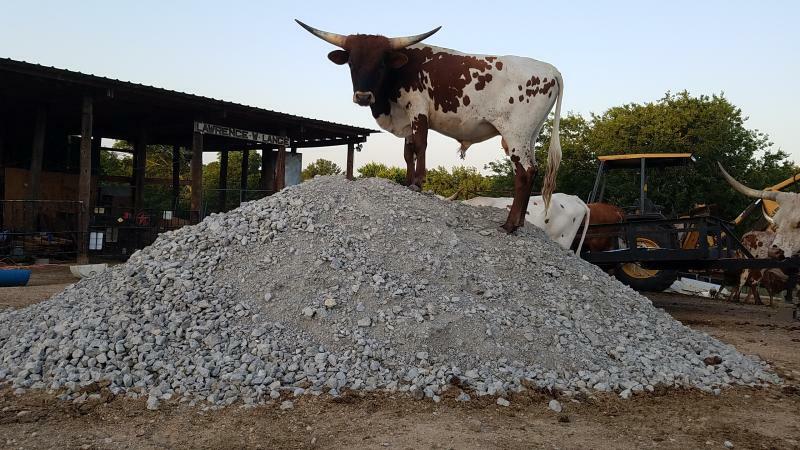 Since then we've added a few more cows from various sources, mainly from the Fort Worth Stock Show Longhorn auction each January. 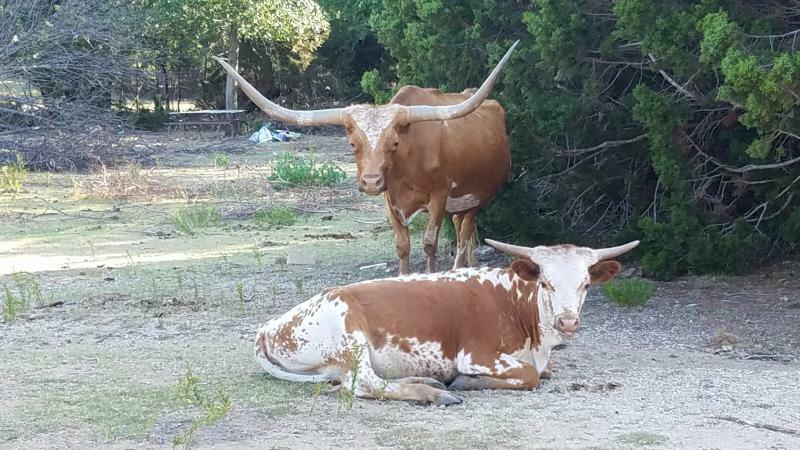 We're up to about 25 Texas Longhorns roaming the ranch now. 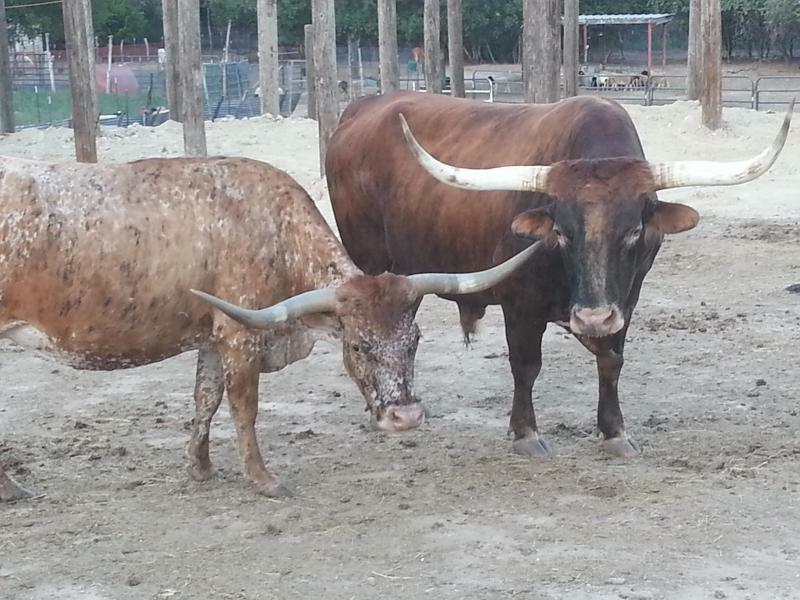 We almost always have bull calves for sale, and occassionally have some heifer calves.